During October and November 2012 my boyfriend and I travelled from Sydney to Cairns using the Greyhound bus. This post is a breakdown of the cost, the places and everything else that seems important to share. It will probably be one of the last posts about our East Coast trip but don’t worry there will be plenty of photos coming your way. So our original plan for this trip was that we wanted to be in Cairns by the 14th November for the eclipse but otherwise we were very open minded and unplanned. We had made a list of all the places we thought we might like to visit. This includes a lot more than we actually did – much to do with the fact some of the places really didn’t seem worth it after talking to others, and my am I glad we listened to them after how boring Townsville was. We found we planned a few days in advance until we booked up some trips in Byron and had to fix dates but this worked out okay. The start of our trip and the first place we saw in Australia – and what a place it was to see first. Those oh so iconic landmarks and fabulous beaches will leave even a city hater thinking that Sydney is okay. With so many different suburbs and half a dozen beaches north and south of the city it will take you a while to feel like you have fully seen the city. 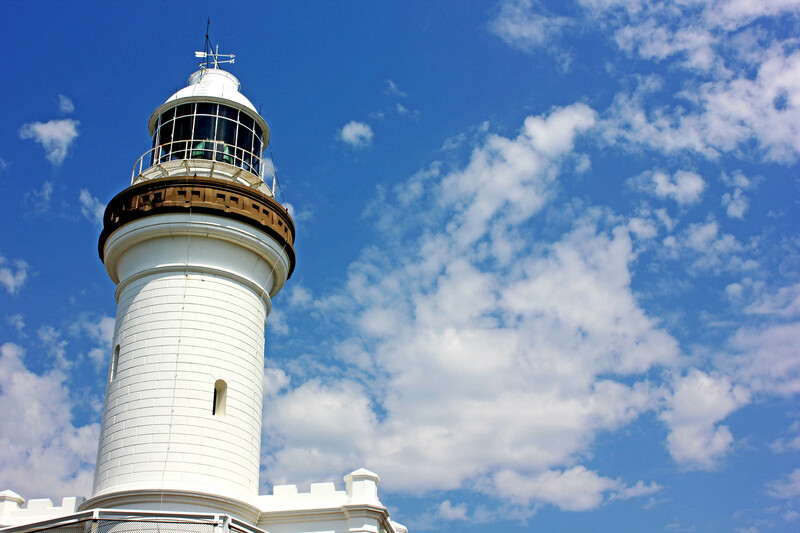 We stayed at Noahs in Bondi – a beach that is exactly as you imagine from the TV show. However my favourite part of Sydney overall was the Manly area. 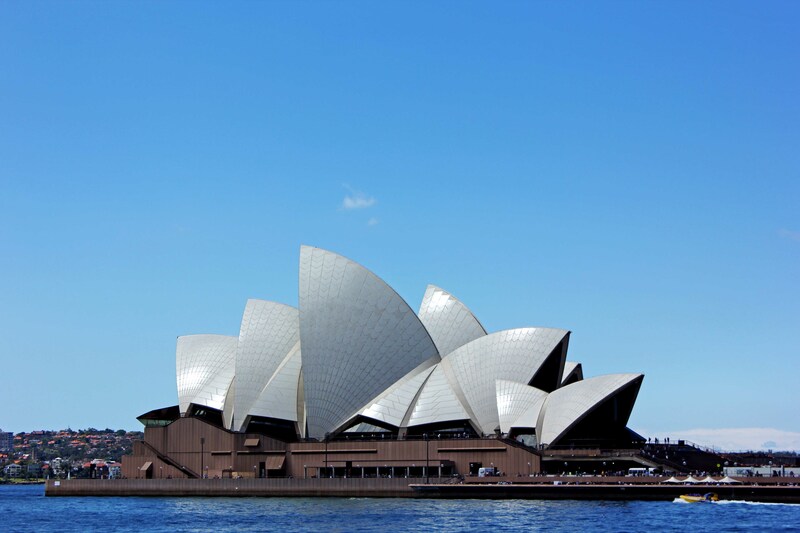 You can read about what my first impressions of Sydney to get a more in depth feel. There really was not much to see or do in Newcastle – luckily the reason we had gone there was to take a day trip to Hunter Valley for $55 which was brilliant. We indulged a little too much on wine and cheese read more about our day trip here. 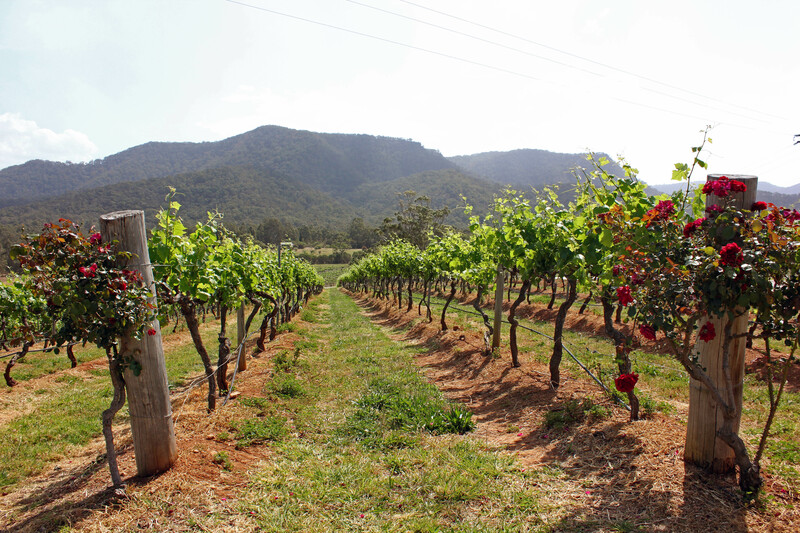 Beautiful landscapes for miles upon miles and more wineries than you can count on your fingers. The city of Newcastle seemed old and rundown, the main street was dead and the harbour seemed equally quiet. The only part worth seeing was the ocean baths but in October they were too cold to swim in! We stayed in a VIP Backpackers which I would recommend. This place was small but there was plenty to do as long as you were prepared to walk. My favourite thing here was the koala hospital – having never seen a Koala before I fell in love with the ones here. Not only that but I also spotted my first whale while we were out sea kayaking along the river, through the mangroves and around the harbour. 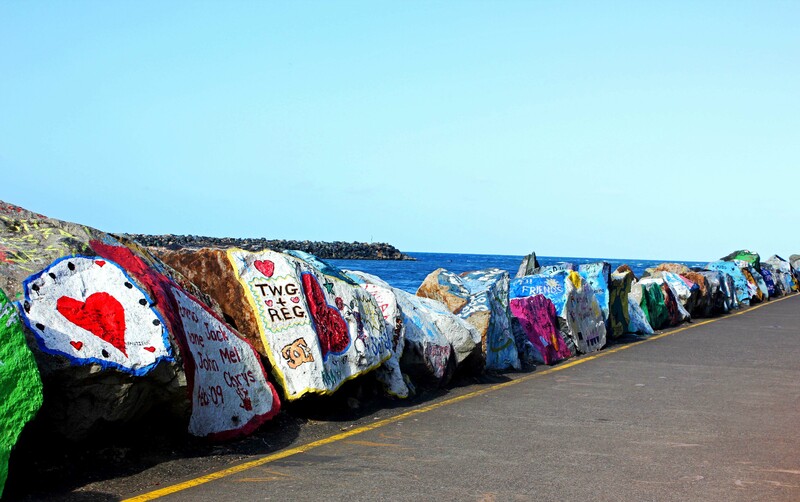 There were some funky painted rocks along the edge of the harbour to beach walk and we had a great stay in Ossie Possie’s our hostel for the night. We choose to miss out Coffs Harbour – partly because of bus times and partly because we were only going to see the ‘big banana’. Possibly one of the most famous places of the East Coast, be it for the surf life, the night life or the general backpacker life and we were no exception to the rule of loving this place. Within hours of being there we had hiked from town to the beach, up to the light house and all the way back in to town. We never did take a surf lesson here, slightly due to the price but also down to our bad organisational skills. However we did end up on a day trip to Nimbin and danced on the tables in Cheeky Monkeys. I would recommend Aquarius Hostel as a great place to stay. Surfers is what I can only imagine Miami is like but on a much smaller scale, it is pretty much just big sky scrapers and a beach. After being warned by so many others that this place wasn’t worth stopping in we didn’t know what to expect. It really doesn’t feel like a ‘Surfers’ Paradise – far from it in fact, but they do good nights out and we had a great day at Wet ‘n’ Wild. From here its only 30 minutes away – along with the rest of the theme parks. We stayed at Backpackers Resort which despite being located out of the central area was a great place. The only big city between Sydney and Cairns and a place I had no expectations for due to the amount of negative blogs I had read about it, but in my day here I fell in love with the city in less than 24 hours. Set away from the beach which made me doubt if I was going to like it but split perfectly by the river and with a lovely Southbank setting – even the fake beach didn’t seem tacky. We stayed in the West End area at Somewhere to Stay. From here you had some awesome views of the city skyline. It is certainly a city you need to see for yourself and not let other people’s opinions affect your own. For many this can be the start or end of a trip if you are only doing a short trip and with easy access to the beautiful beaches many people on a WHV seem to settle here. We were only here a very short time but there was no need to have spent longer, as it’s a place with not much to do – except lots of water sports, walking, and looking at the pretty views. 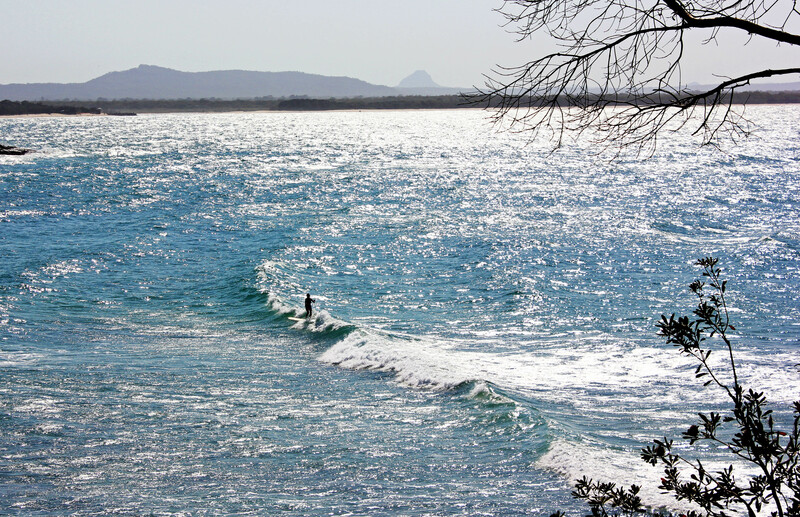 Split in to three sections; Noosa Heads, Noosa Junction and where we stayed, Noosaville, around a 20 minute walk from our hostel the Backpackers Resort to Noosa Heads. Everywhere is just beautiful be it along the river or the beach. We even hiked around the national park but were disappointed to only see one Koala and barely any other wildlife. I really enjoyed it here, it is the perfect place to relax away from all the backpacker madness. 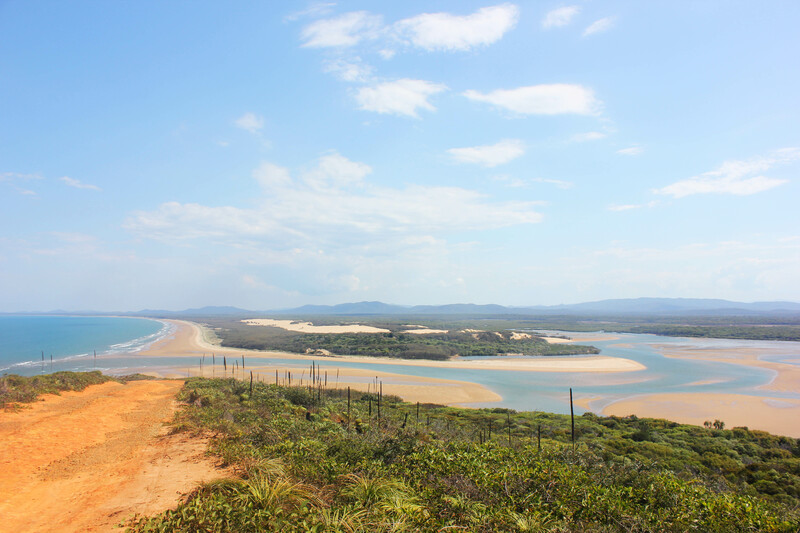 A tiny place which is the gateway to Fraser Island for many tours, otherwise there isn’t a lot to do in this beautiful seaside place except chill and relax. Swarming with backpackers and only half a dozen shops, your best bet is to get walking and see some magnificent views from Carlo Sandblow, a massive sand dune overlooking the sea and other cliff edges. It’s a perfect place to try some sand boarding. The largest sand island in the world is everything you can imagine and more. We took a tag along tour meaning we got to drive on sand and really experience the island. Seeing Lake Mackenzie, Maheno Shipwreck, Lake Wabbi, Champagne Pools, Indian Head and more was just incredible. Every time you turn the corner or head down a new road something else catches your eye, it is home to the purest form of dingoes too. This island is covered in hidden beauty spots and I would recommend everyone to have at least 2 or 3 days on the island if not more. This is a tiny town and also has the name Town of 1770 – but don’t get confused like we did, they are separate places by a few KMs. I took my first surfing lesson here and we had a great stay in Cool Bananas. 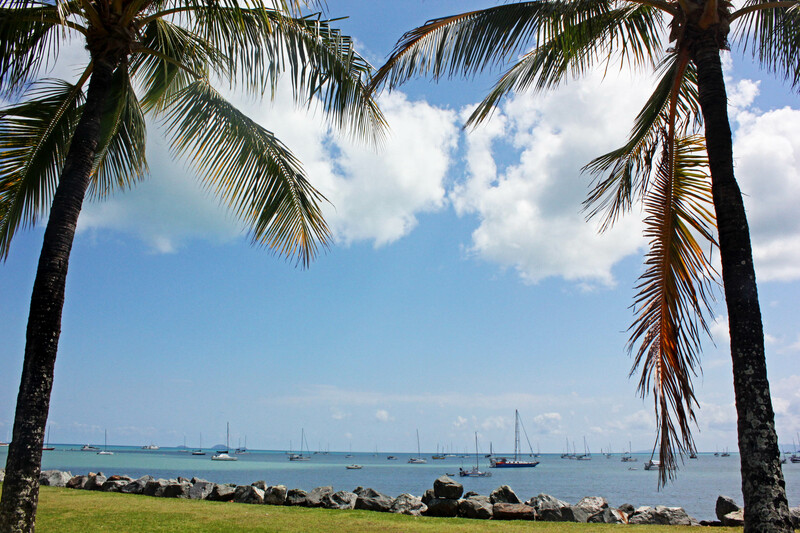 Otherwise the only reasons for stopping here is to break up the long journey between Rainbow and Airlie Beach or to take a trip on Castaway Island like we did. 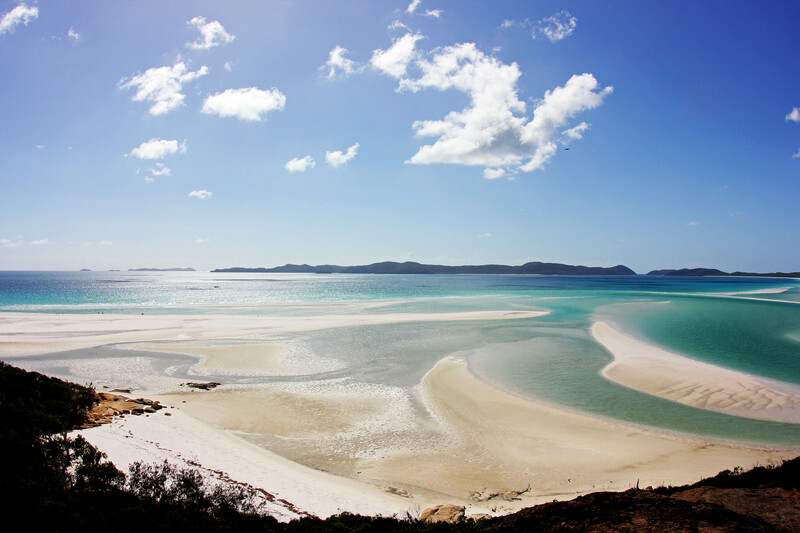 This little beach town is the gateway to the Whitsunday islands and party town for backpackers. It seems this place is made for backpackers staying before and after their boat trip. With plenty of places to party and some great hostels I would recommend Magnums. Don’t forget to check out the lagoon by the beach front as the sea is a no go area. The Whitsunday Islands are breathtakingly beautiful, standing at the lookout point on Hill Inlet is just something else. Around here you can dive the fringing Great Barrier Reef, see plenty of marine life and get those iconic photos of Whitehaven Beach. We took the New Horizon boat which I would highly recommend. 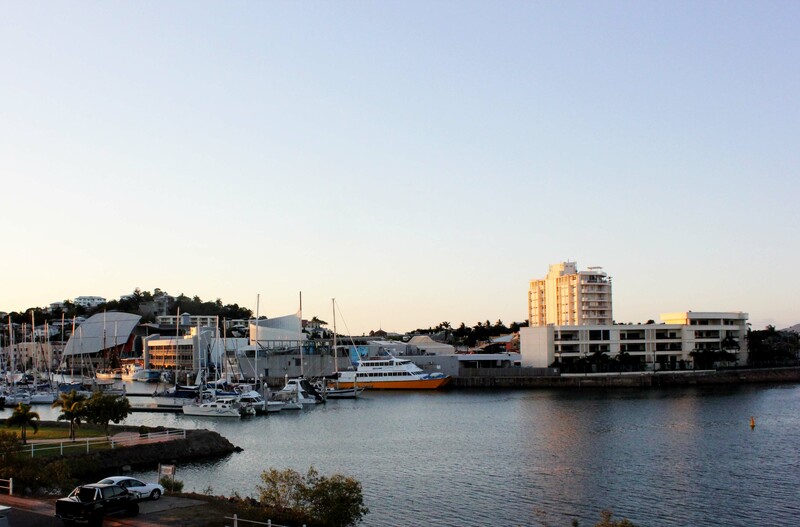 A quiet ‘city’ that seems to live off the harbour trade and not much else. Famous for its real life reef aquarium and the gate way to Magnetic Island – which we never visited and I’m not sure why. It seems a very quiet place with not a lot of backpackers staying but I did enjoy the strand along the beach front which is even equipped with a kids’ waterpark. 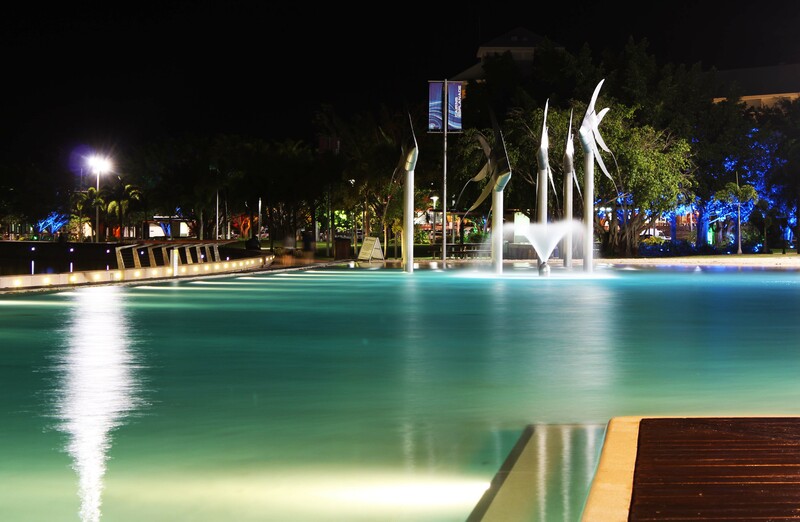 Cairns is backpacker party central, there is something going on every night of the week. The party bus is pretty famous and seemed to be a highlight of a lot of people’s time there but the Woolshed is just as good. From here you can take plenty of day trips out to the Great Barrier Reef to dive and snorkel or inland to Atherton, Cape Trib and the Daintree. With plenty of travel outlets your will be spoilt for choice. This was the end of our East Coast Trip but for many it is just the start. Be sure to check out the nightly free exercise classes and the lagoon of course. It is also a great place to sky dive with dives taking place in Cairns or shuttle buses down to Mission Beach. Thanks for sharing your experience with the Sydney to Cairns route. 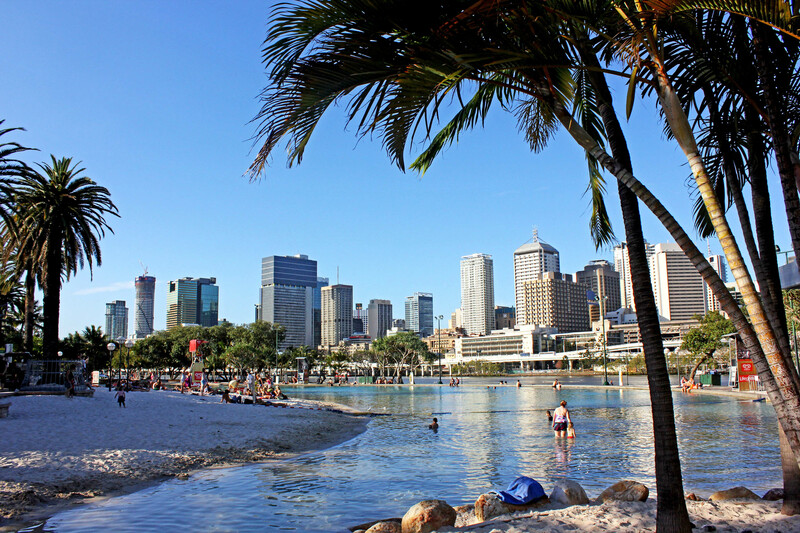 I currently live in Brisbane to definitely agree with your comments, it is definitely a great place to live!! I’ve been to a few places on this list and I live in Brisbane (I’m glad you liked it!). 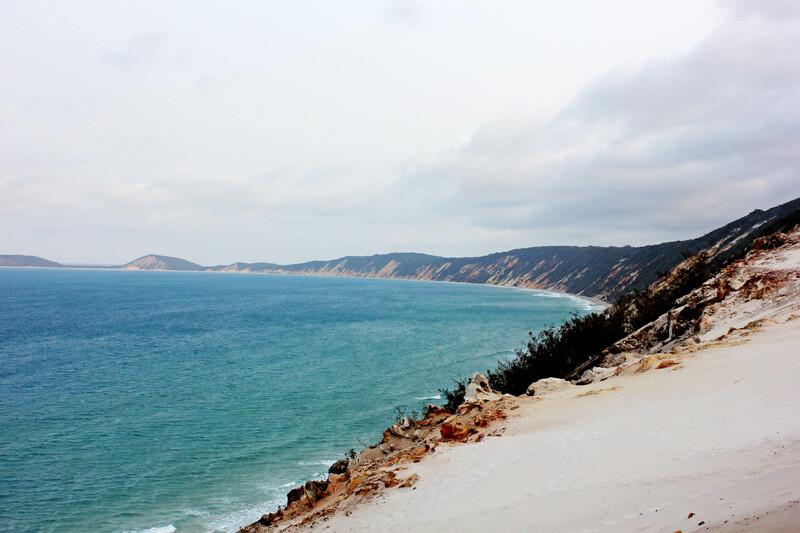 If your ever back again you should check out Moreton Island (its quite similar to Fraser though). It just found your blog online and absolutely love it! 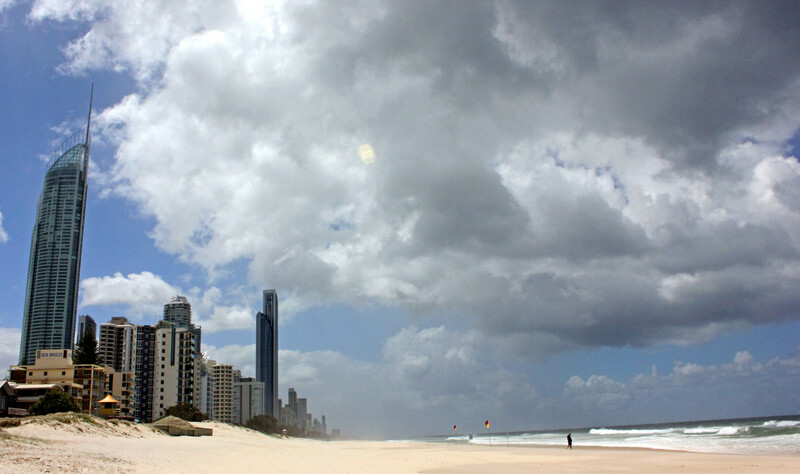 For those people who take the step to come over to Australia to travel, it is very informative and interesting to read. I would like to let you know about a really good website for people planning to travel to Fraser Island on the East Coast of Australia! 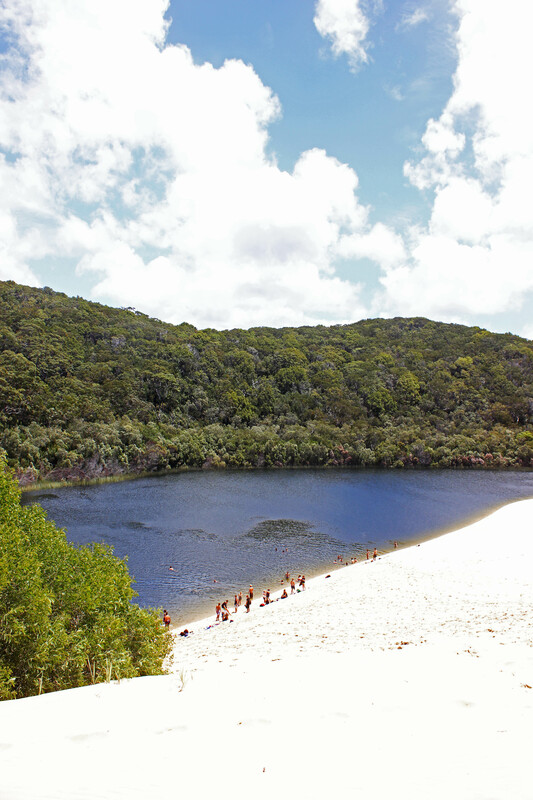 http://www.fraserisland.com.au has insider information and great travel options for Fraser Island holidays! The live chat function gets you to speak to a travel expert right away to answer any of those burning questions! Great post although it seems that you were more interested in the ‘Backpacker/Party’ scene rather than the trip itself. All these spots are definitely a must see, but I would advise anyone reading this or using it as a guideline, to look deeper into certain spots as there is literally 100’s of other things to do and places to stop by on the way, that you can arrange/book or visit on your own, and not on a tour. Or even multiple tours, where the cost will certainly blow out. EG: This trip cost $4174.19 from Sydney to Cairns on a Greyhound Bus. To put things into perspective I did the trip the other way around. We hired a car and started in Port Douglas (further north than Cairns) and drove to Melbourne, for just over the same amount. All these places are definitely places to stop at, see and enjoy. But try to avoid the tours, and visit these sites yourself. The Australian East Coast Road Trip is in my mind the best in the world. I have written about the backpacker/party scene because that is the niche of my blog and what my readers are looking for. 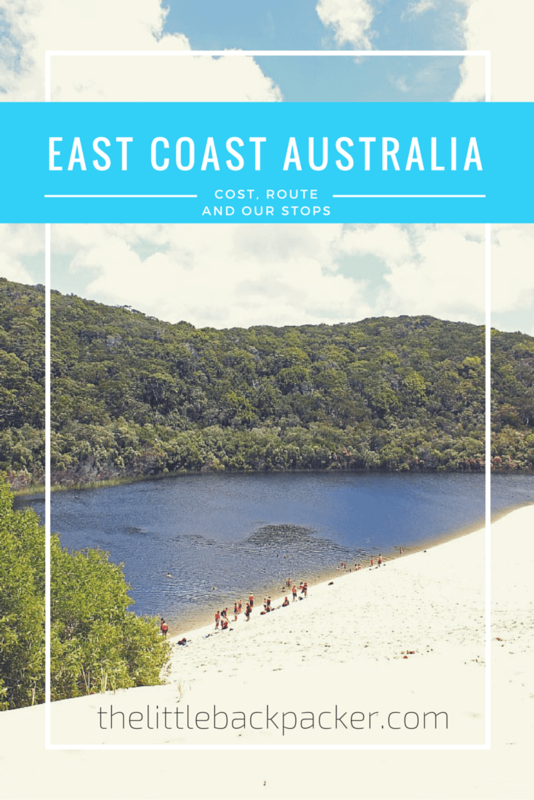 I am by no way saying that is the only way to see and do the East Coast Of Australia, this is simply a guide for people looking to experience the same trip I did. Unfortunately hiring a camper van works out much more expensive when you want to travel for six weeks. I appreciate your comments none the less. Did the costs that you stated include both of you or was that for one person? I’m so sorry but I honestly cannot remember.